Princess Disney Tiana, Merida and Ariel love music, especially rock. Therefore, they created a rock band and can now enjoy the music playing it for themselves and for the audience. Merida plays the drums, Tana plays the rock guitar, and Ariel the lead singer. In such a composition of the group of our favorite princesses are often called to school parties where they act. The fame of them reached the big stage and now they have been invited to perform in front of a multi-thousand audience. This is a very exciting time for princesses and they need help in preparing. While they are preparing the songs, you can help them choose outfits. 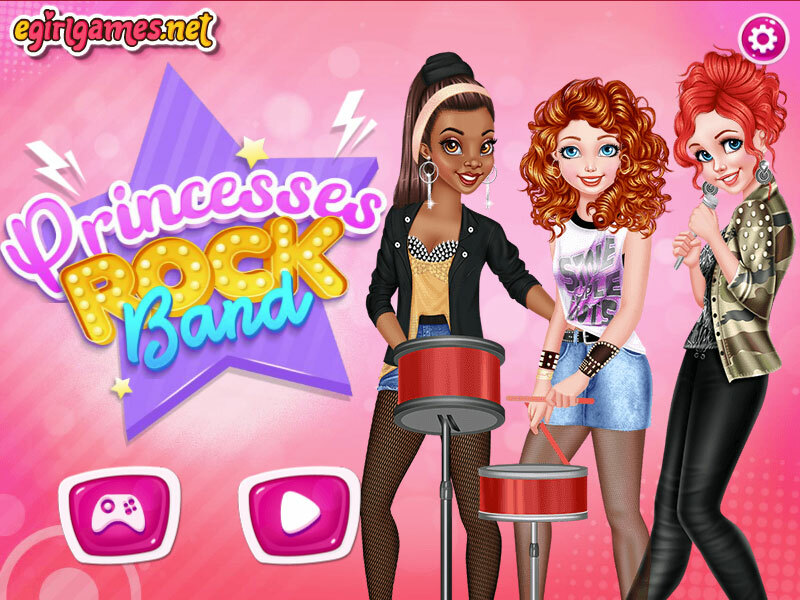 In this dress up game, you can help princesses prepare for a rock concert performance. Choose makeup and outfits for each of the princesses. Played: 1458. Added: 19-03-2019, 08:35. Princesses Rock Band dress up game.